In Mike Aksamit’s line of work, there’s nothing worse than a mechanical failure. 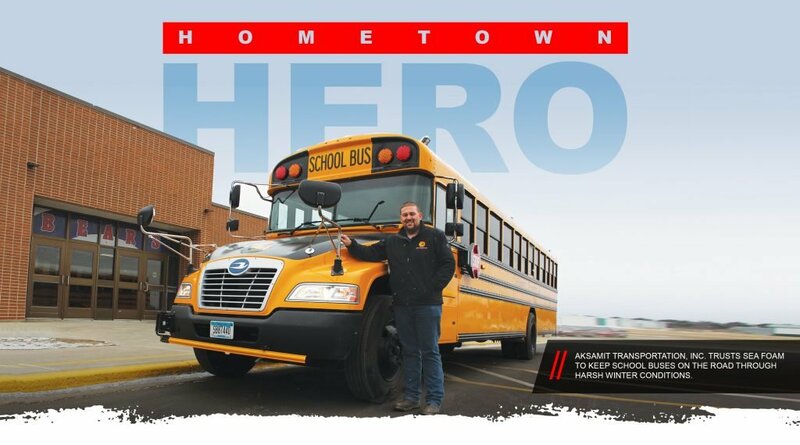 He and his wife, Jenny, own Aksamit Transportation, Inc., a fleet of 76 school buses and vans in central Minnesota. Half-a-dozen school districts depend on the fleet year-round to transport more than 3,000 students to schools, homes, sporting events, field trips and more. The buses and vans put on about 1.25 million miles each year. Aksamit Transportation, Inc. is based in Browerville, Minnesota, where below-freezing temperatures are the norm for half the year, along with plenty of snow and ice. Harsh weather, combined with the frequent starting and stopping school buses have to perform each day, can wreak havoc on diesel engines and drivetrains. Untreated fuel would lead to clogged filters and injectors, hard starts, and sluggish performance. Poor oil circulation wore out engine components, EGR systems, and turbos. The cold also caused a host of transmission problems—enough to dedicate a whole wall of the company’s inventory room to transmission parts. At the peak of the Aksamits’ problems several years ago, they had to tow 25–30 buses a year because of breakdowns and were replacing up to 10 transmissions a year. Having backup buses ready to go at a moment’s notice became the norm and the couple was spending a fortune on repairs. They knew it wasn’t sustainable, for their business or their reputation. The Aksamits had tried numerous fuel and oil additives, none of which helped to solve the problems they experienced with their fleet. When their parts supplier suggested giving Sea Foam a try a couple of years ago, the Aksamits went all in. 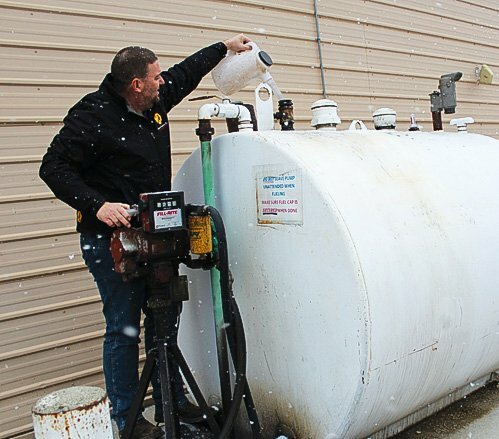 They ordered 220 gallons of Sea Foam Motor Treatment, which they mixed in their bulk tanks at a ratio of one gallon for every 150 gallons of fuel. 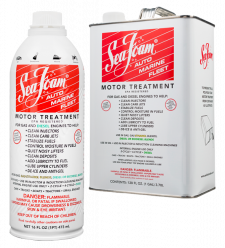 MIKE AKSAMIT ADDS SEA FOAM MOTOR TREATMENT DIRECTLY TO HIS BULK FUEL TANKS. The Motor Treatment worked quickly to dissolve and clean residue, ultimately leading to fewer fuel filter replacements and injector problems. The Aksamits started using Motor Treatment in crankcases between oil changes as well, cleaning key engine components for better performance and longevity. And in the fleet’s transmissions, the Aksamits started using Sea Foam Trans Tune, helping to smooth rough shifting, control moisture, and improve transmission life. Since the company started using Sea Foam, breakdowns requiring tow-ins dropped to just a couple a year, and only one transmission has needed replacement. The fleet’s overall mileage improved by nearly 2 miles per gallon—a huge cost savings for the company. For fuel system treatment, add up to one 16-ounce can per 16 gallons of fuel; for fuel stabilization, add one ounce per gallon of fuel; for crankcase cleaning, add 1 to 1.5 ounces per quart of oil, 100 to 300 miles before an oil and filter change. 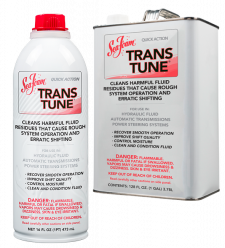 Add one 16-ounce can of Trans Tune to the transmission filler for most cars and trucks.